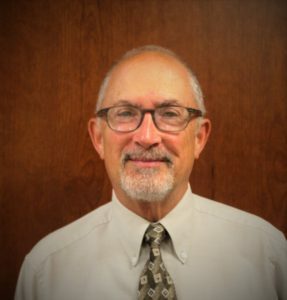 Michael Finegan, Ph.D., is the Executive Director of Peninsula Mental Health and its divisions, which include Peninsula Addiction Services, Peninsula Police Services and Peninsula Day Treatment Services. Dr. Finegan received his Ph.D. in clinical psychology in 1984. He served his APA Clinical Psychology Internship at the University of Minnesota Medical Center and completed a Post-Doctoral Fellowship in Geriatric Clinical Psychology at the Texas Medical Center. Beginning with his first experience working with law enforcement at the Utah State Prison in 1983, Dr. Finegan has progressively dedicated more time to serving the special needs of law enforcement. Dr. Finegan also serves as Lead Psychologist for the Maryland State Police, heading a statewide emergency response team involved in critical incidents. His clinical interest focuses on treatment of trauma as well as mood and anxiety disorders. Internationally, he has served as a volunteer in responding to disasters in India, Sri Lanka and Haiti. He is a frequent guest on local CBS and ABC affiliate stations and has also been featured nationally on NBC’s Dateline, CNN Headline News and the Washington Post. Dr. White earned his doctorate degree in Human Development from the University of Maryland, College Park and was a faculty member in the Department of Psychology at Salisbury University from 1978 to 2011. He has been with Peninsula Mental Health Services since 1991 and is presently the Clinical Director of the practice. He specializes in cognitive-behavioral, interpersonal and Adlerian therapies and works with individuals, couples and families. He is licensed in the state of Maryland as a Clinical Professional Counselor. Dr. Efigenio Lynes Bautista was educated at St. Thomas Aquiras University, School of Medicine and Surgery 1970. He trained at Manhattan State Hospital, New York City with affiliations at New York Medical College, Metropolitan Hospital in 1974. He served with the 7th Fleet, U.S. Naval Hospital Subic Bay and U.S.A.F. Base, Angeles City and later retired as a full Navy Captain after 22 years of active and reserver service with a 5 year tour (1981-1986) at 2nd Marine Dr. F.M.F. Camp. He currently is a psychiatric consultant at Peninsula Mental Health Services. 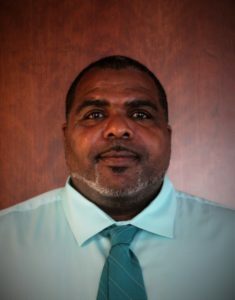 Steven Daggs was educated at Wor Wic Community College and received his associate degree in Chemical Dependency Counseling. He was the senior intern at Second Wind Inc. which is a halfway house for men in recovery. He is pursuing his bachelor’s degree at Grand Canyon University for a Bachelor’s in Science in Counseling with an Emphasis in Addictions and Substance Abuse. He has a passion for counseling and people with recovery. Jim was employed with Mountain Manor from 1990-1999 in the Baltimore, Rockville, and Frederick, MD out-patient facilities. In his 9 years there he, opened the adult outpatient groups, started an adolescent AfterCare program for inpatient graduates and managed 60 patients with 6 groups per week. Jim moved to the Eastern Shore and was employed for 9 years with Hudson Health Services as their Admissions Director. He then became involved in their business development and then Interim CEO. After a short time with Warwick Behavioral Health, as Executive Director of the Outpatient Office, Jim was contacted by Second Wind Inc., a Halfway House in Salisbury. Jim has been with Second Wind for 8 years and remains the Executive Director. In the fall of 2015 Jim was asked to be the Clinical Educator/ Supervisor for Peninsula Addiction Services. He has since taken a small case load and is enjoying his time as a counselor. Jim is involved in many groups in the community including Critical Incident Stress Management (CISM), the Bay Area CIL’s Hearing Loss Support Group and the WOW Warriors, which is a group of concerned citizens who have experienced the devastation of opioid and heroin use among family and friends. Jim is the founder and leader of First Monday, an HIV/ AIDS support group that has met for 11 years. Jim also is the founder of Catch Recovery, a fishing and boating program to provide hobbies and water skills to those with addiction. Rebecca received her Associate Degree of Applied Science in Chemical Dependency Counseling in 2014 at Wor Wic Community College. From 2013 to 2014 she completed an internship at Hudson Health Services and was hired at a local outpatient facility after completing her second internship. Rebecca has thoroughly enjoyed working at Peninsula Addiction Services since 2015. 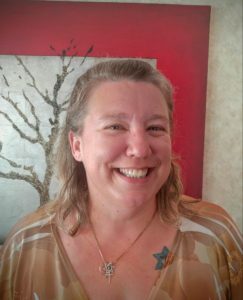 Rachel’s passion is working with addictions patients to provide hope, compassion, and guidance to individuals and their families. Elizabeth worked for many years as a counselor treating patients with both addiction and mental health issues in both in-patient and out-patient settings. After obtaining her A.A. degree in Chemical Dependency Counseling in 2007, it allowed her the opportunity to work therapeutically with patients in need of addiction treatment. The opportunity of working directly with mental health therapist and psychiatrist in treating patients allowed her to grow professionally in knowledge and understanding of the population’s needs. Taking the next step professionally into more of an administrative role, Liz became the director of Maryland housing for a local treatment center. 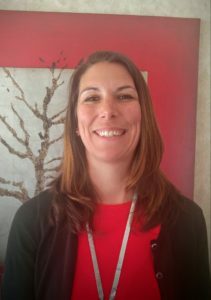 In that role, Liz managed clients, program policies and procedures as well as connecting patients and residents with local resources to support recovery efforts. Now with over 10 years of experience in substance abuse treatment, she focuses on compassion and personal empowering of all of her patients.